Today, we are increasingly relying on our Smartphone: make call, send message, access social account, play game, take pictures, track movement, monitor health and more. Some audiences asked can I print photos on Smartphone. The answer is yes, all you need is a photo printing app, such as Walgreens photo app. Many people have heard of Walgreens Photo; some even used this online photo printing service. Thankfully, Walgreens Photo has combined mobile world and released Walgreens Photo app for iOS and Android devices. In this post, we are going to introduce this photo printing app in details. Moreover, we will share top 5 apps similar to it. 1. Customers could manage and upload photos from photo gallery, camera roll, Walgreens albums or other sources for printing. 2. The built-in photo editor has the capacity to adjust and enhance pictures before printing. 3. You can choose photo products within Walgreens Photo apps and book an order. 4. After viewing ads, you can get coupons for photo prints. 1. This printing app supports a wider range of input sources, including social media, cloud services, internal storage and Walgreens albums. 2. The checkout process is easy. 3. It is available to both iOS and Android devices. 1. Walgreens Photo is combined with Walgreens Pharmacy, so the interface is clutter. Shutterfly is another famous online photo printing service. And Shutterfly app is the mobile client. Compared to Walgreens Photo app, Shutterfly app has a well-designed interface. 1. 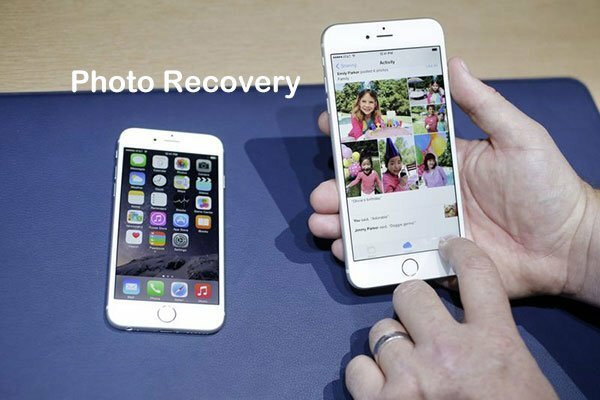 It offers unlimited photo storage for backup photos from Smartphone. 2. You can select pictures from the backup and book an order within this app. 3. Shutterfly app offers all the photo products available and you can make decisions simply. 4. Shutterfly has exclusive coupons and offers for app users. 5. The built-in photo editor integrates all necessary photo editing tools. 1. Shutterfly app has a dedicated version for iPad. 2. The checkout process is smooth. 3. It has extensive photo editing tools. 1. The app still has some bugs and crashes sometimes. 1. Users could import photos from Facebook, Instagram, Dropbox or internal storage for printing. 2. You can choose a photo product and book an order easily. 3. This Walgreens Photo app alternative offers each account unlimited storage for backup photos. 4. Customers could track order and shipping within this app. 1. It is compatible with both iOS and Android handsets. 3. The interface is user friendly. 1. It is only available in UK and Europe currently. Snapfish is popular among professional photographers. Thankfully, we can use Snapfish Photo & Gifts app to print photos on Smartphone directly. 1. Users could upload photos from Snapfish album, Facebook, Instagram, photo gallery, camera roll, Photo Stream and other sources. 2. The built-in photo editor allows you to edit, enhance and adjust photos for printing. 3. You can choose a photo product from the list and leave an order immediately. 4. Snapfish Photo & Gifts offers unlimited photo storage for each user. 1. This Walgreens Photo app alternative is available in Play Store and App Store. 2. The interface is straightforward and easy to navigate. 3. The checkout process is easy to use. 1. You cannot track order or shipping within app. If you have used York Photo to print pictures, you can achieve such task on your Smartphone. York Photo app is the dedicated platform for contacting and printing at York Photo. 1. You can upload photos from internal memory to York Photo account for printing. 2. This Walgreens Photo app offer unlimited storage for users to store pictures and print in the future. 3. York Photo provides special offers and coupons for app users. 4. You can create albums and edit pictures in this app. 1. This app is lightweight and easy to use. 2. It supports to upload multiple pictures at once. 1. It does not provide order status. Mpix Tap To Print is the mobile client of Mpix, which is one of most popular online photo print services in United States. 1. Customers could import photos from memory, Facebook, Dropbox or Instagram to Mpix account. 2. After select photo products, you can book an order within this Walgreens Photo app alternative easily. 3. The basic photo editing tools include crop, rotate, and adjust color. 4. This app could provide personalized notifications and offers. 1. It works well on most iOS and Android devices. 2. The checkout process is simply. 1. It will collect your personal data. In this article, we have introduced Walgreens Photo app in details. Now you must grasp key features of this photo printing app. Moreover, we shared the customer reviews about Walgreens Photo app. In a word, it is worth to trust and use. But if you want to learn more options or best Walgreens Photo app alternatives, you can find them in the second part. Shutterfly app integrated extensive photo editing tools. PhotoBox Photo Prints & Gifts is the best choice for European. Snapfish Photo & Gifts provides unlimited photo storage. York Photo app is easy to use. Mpix Tap To Print gives app users more special offers and coupons.